In the last month we‘ve started a big research project. 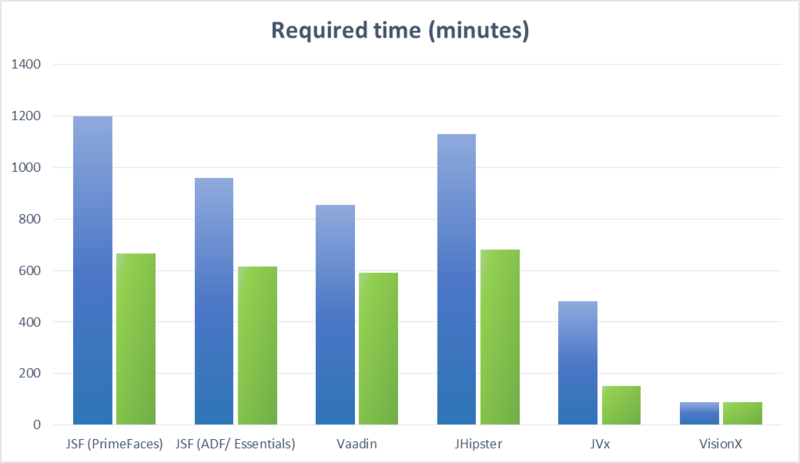 It is a comparison of Java frameworks for backend and frontend development. We knew that there are many different frameworks for the same job, but which one is the best? Is there one framework that would outpace all others? What are the pros and cons of each framework and how fast could we develop with them? The idea was trivial: Implementing the same application or screen with different technologies with developers without prior knowledge of the specific technology, always from scratch. Afterwards we could compare the development time, functionality and complexity. We tried to find out which framework saves most time during development because time is money, e.g. development with framework A needs 6 months and same solution needs 3 months with framework B. Which one is better? Better doesn't mean that framework B is technological better than A and it doesn't tell us anything about the framework quality. As well, faster is not always better because code quality is very important. We tried to create comparable results and choosen frameworks fulfilled high quality standards. We also knew that every developer is different and development speed matters. To keep results fair, we tried to find some fresh developers (students) with same experience and without prior knowledge in our framework candidates. The results were really cool and it was great to get feedback from different developers without marketing slides and no buzzwords. Just reality! We tried to use "top-ten frameworks" and our own selection.